Kaaviya Thalaivan sounded promising. A character driven drama set in the world of Tamil theatre in the 1920’s should have been exactly my kind of film, but despite excellent performances from all the actors and A.R.Rahman’s expressive soundtrack, the story is frustratingly predictable with little of the expected melodrama. The beautiful costumes and period sets cannot compensate for a very pedestrian telling of the rivalry between two actors and the ups and downs of a theatre company in the years before Indian Independence. However, at least there are great costumes and stunning sets, and even if the story is disappointingly flat there are plenty of moments of brilliance from the individual actors which do make Kaaviya Thalaivan worth a watch. The film is semi-narrated by Gomathi Nayagam Pillai (Prithviraj) who is sent as a young boy to train as an actor with Thavathiru Sivadas Swamigal (Nasser). During their travels, Sivadas Swamigal takes in a young orphan beggar called Kaali – later to rejoice in the name of Thalaivankottai Kaliappa Bhagavathar (Siddharth). Gomathi and Kaali become friends in a fairly standard ‘protecting from bullies, blah blah blah heard a million times before’ storyline. Now that familiar track wouldn’t matter if their developing relationship was told with any supporting emotion, but Gomathi runs through the story as if it’s a reading exercise in class and the identity of the protagonists is a matter of great indifference to him. Naturally then, it doesn’t matter to the audience, and Gomathi’s attitude appears more as boastful self-importance rather than genuine compassion for a young orphan. From children to young men in the theatre company is a matter of a few moments and the two seem to be at least notionally friends at this point. Their different personalities are defined by a moment in the wings as they watch the hero Bhairavan (Ponvannan). Gomathi voices his desire to be just like Bhairavan while Kaali recognises the flaw’s in both the performance and the man, and instead aspires to be like their guru – Sivadas Swamigal. It’s not unexpected then when Sivadas Swamigal chooses Kaali to be the hero for the company’s next production, or that this sews the seeds of resentment in Gomathi for his ‘humiliation’ which is really all in his own mind. Gomathi seems to take it as inevitable that he should resent Kaali for his success, without having any better reason to do so than his own sense of self-importance. That could have worked as motivation if it had been developed in any way, but instead the rivalry is treated as a given and no further explanation is necessary. While Gomathi is silently angry, Kaali is blithely oblivious and embarks on a ridiculously straightforward romance with Rangamma (Anaika Soti), the local lord’s daughter. Kaali has little difficulty accessing Rangamma’s rooms, which should realistically been a little more heavily guarded, and no-one other than Gomathi seems to suspect anything, despite the heavy-handed flirting that goes on between the two during stage performances. At least finally there is some passion and vitality to the characters, although not so much between Kaali and Rangamma but rather in an excellent scene where Sivadas Swamigal confronts Kaali about his love affair. Both Nasser and Siddharth are over-emotional and sufficiently melodramatic to suit the story at this point, while Prithviraj gets a chance to be nastily spiteful. However it’s a small oasis of theatricality, and the story quickly reverts back to a more plodding pace once Rangamma is out of the picture. That’s actually a shame since Anaika Soti does well with the limited role and looks beautiful in the songs. I would have liked to see more of her, but Kaali needs to have a reason for his life to turn pear-shaped and losing Rangamma works relatively well. The final character in the drama is Ganakokilam Vadivambal, aka Vadivu (Vedika), a dancer and singer who joins the company and replaces the more traditional male actors in the female roles. Vadivu is in love with Kaali, but he only has eyes for Rangamma, while Gomathi pines in the wings for Vadivu who barely seems to notice him. It’s a situation that should be full of jealousy and passion but is instead treated clinically without any of the emotional drama that would have made the characters more effective. Again there is no justification for Vadivu’s ever more extreme devotion to Kaali, and although there is a little more substance behind Gomathi unrequited love, it doesn’t seem realistically likely to survive in the face of Vadivu’s determined rejection. However both Vedika and Prithviraj are good enough actors to generate some plausibility in their relationship and the tension between the two does become somewhat more palpable as the story develops. Without Prithviraj this really wouldn’t have had anything like the same impact, but he really does do a good job with very limited dialogue and little opportunity to demonstrate exactly why he feels the way he does. Vasanthabalan also adds in a Nationalist thread to the plot which seems to be an unnecessary complication when more detailed development of the story and more in-depth characterisations of the three protagonists would have worked just as well, if not better. Once Kaali becomes a Nationalist, that too in a matter of moments while in prison, his fate is sealed and the ending is as predictable as expected. As Kaali, Siddharth comes away looking the best of the cast, partly because his character has more scope and inherent drama, but mainly because he really does an excellent job with the role. His performance is flawless and particularly in his scenes with Nasser there is a definite sense of the arrogance and self-confidence that underlies Kaali. Siddharth also nails the hurt and despair when Kaali is let alone in the world and his scenes with Nasser are superb. More of these and less of the bland romance would have been much better. Prithviraj and Vedika do as best as they can within their limited roles and there are times in the second half where both get more of an opportunity to show more depth, but they are hampered by a lack of motivation for their characters actions which makes them too one-dimensional to be truly effective. 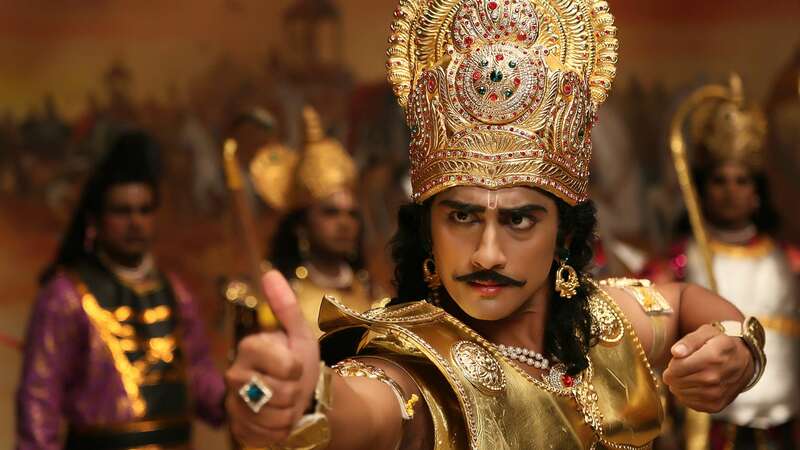 It’s perplexing that a film set in and all about theatre could end up so lifeless and devoid of melodrama, but that is exactly the problem with Kaaviya Thalaivan. I really wanted to like this film as I appreciate the attempt by Vasanthabalan to tackle something different, but I just couldn’t engage with the characters and was completely frustrated by the lack of any reasonable justification for their actions. I know that’s my usual rant but it is so very noticeable here in a film where the motivation really should be key to developing the drama. 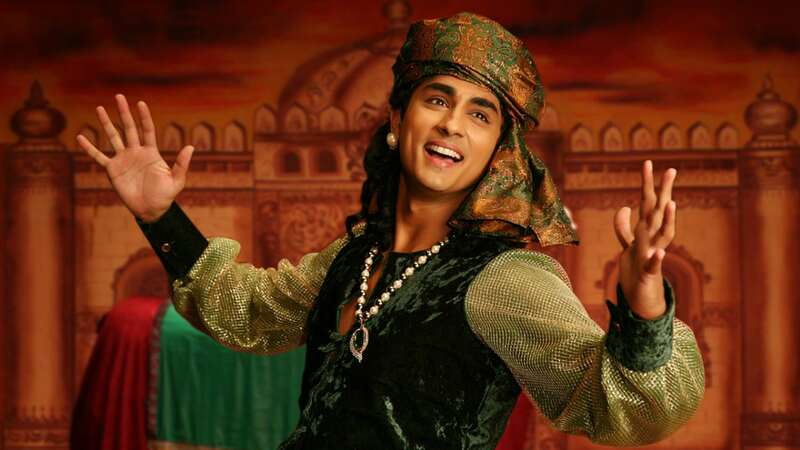 However, the film looks amazing, Siddharth is fantastic and the music and songs are excellent. It’s a visual feast even if there is no substance to the spectacle and for that alone the film deserves to be seen and at least once. This entry was posted in Kollywood and tagged A.R. Rahman, Anaika Soti, Kaaviya Thalaivan, Nasser, Prithviraj, Siddharth, Tamil, Vasanthabalan, Vedika. Bookmark the permalink.